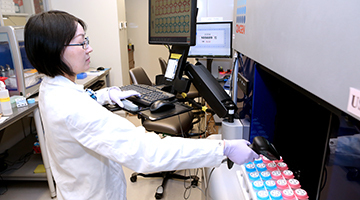 State-of-the-art equipment, the latest technologies and expert technical advice are available to scientists at Northwestern and other institutions in the Chicago metropolitan area through the Center for Genetic Medicine's core facilities. 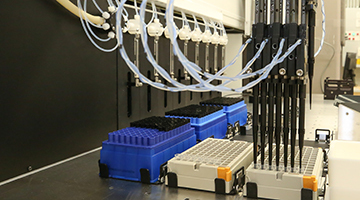 Find a wide range of sequencing, genotyping and gene expression profiling and access advanced equipment and bioinformatics analysis. Let the NUgene Project assist with your genomic research by collecting DNA samples and associated health information on Northwestern Medicine patients. 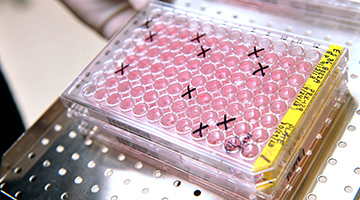 Services include generation of transgenic mice, gene targeting of ES cells, ES cell microinjection into blastocysts, cryopreservation/recovery of mouse embryos and rederivation of pathogen-free mouse strains. Tap into all of Feinberg's resources.